7 4 • O U T PA T I E N T S U R G E R Y M A G A Z I N E • O C T O B E R 2 0 1 6 Can You Pass Our Surface Disinfection Quiz? 20 questions to test your infection prevention insight. David Bernard | Senior Associate Editor A re your antimicrobial cleaning practices up to par? 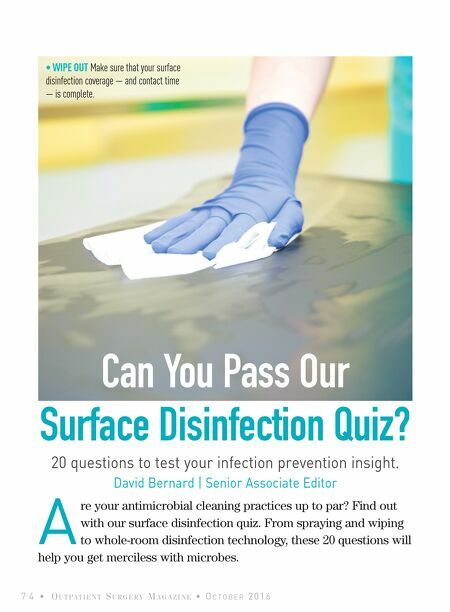 Find out with our surface disinfection quiz. From spraying and wiping to whole-room disinfection technology, these 20 questions will help you get merciless with microbes. 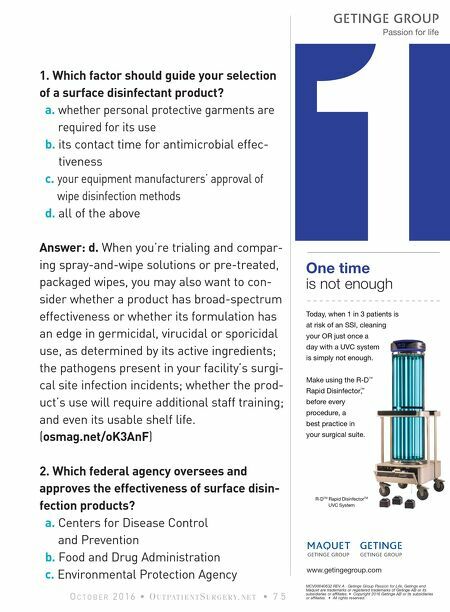 • WIPE OUT Make sure that your surface disinfection coverage — and contact time — is complete.